I’m living in Denmark as a student. And stereotypes being stereotypes, that means I’m a penniless drunken wastrel, only interested in seeing how other people party. 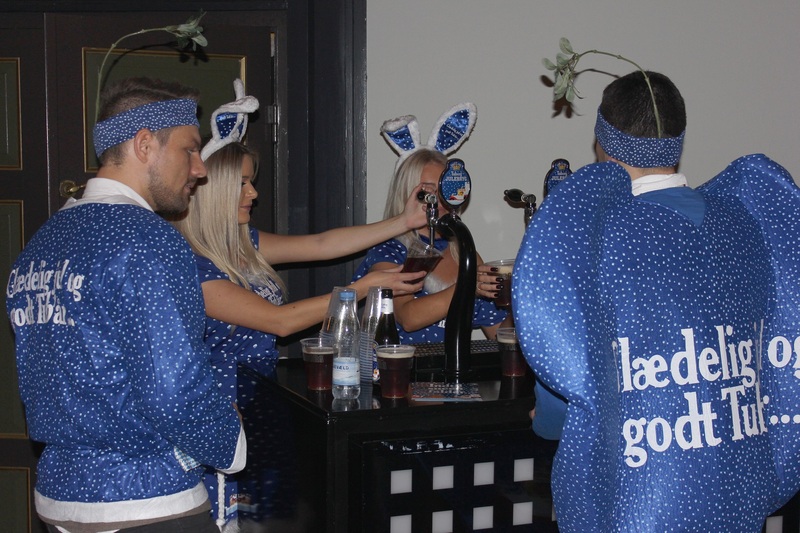 So how could I turn down an invite from Carlsberg to see J-Dag their way? 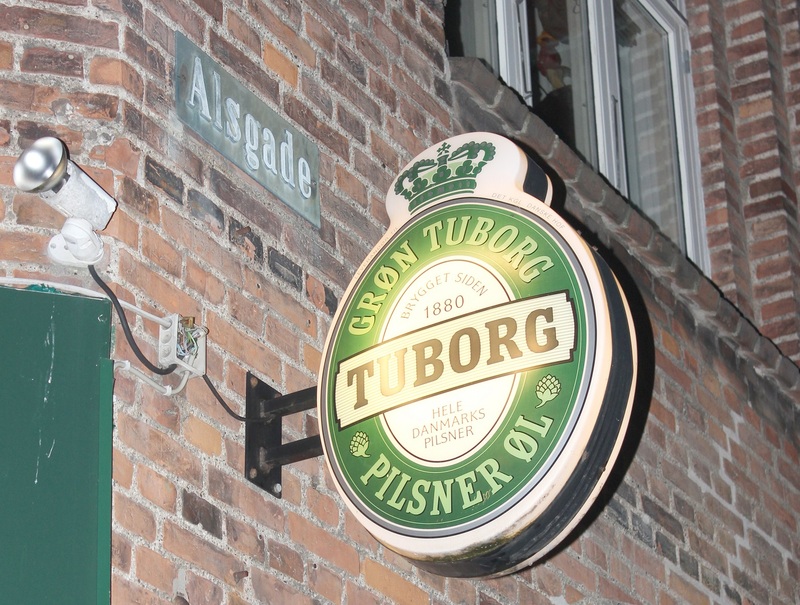 Copenhagen’s annual night out promised, a limited edition Christmas beer launch and an access-all-areas inside track to the good stuff. Let the cultural immersion commence. Some stories people told me prior to my first J-Dag should never be repeated. For Carlsberg, however, it’s a staff party and massive PR opportunity. To speak with so many employees was fantastic – it’s clear how much they look forward to this and it marks a major date in their calendar. 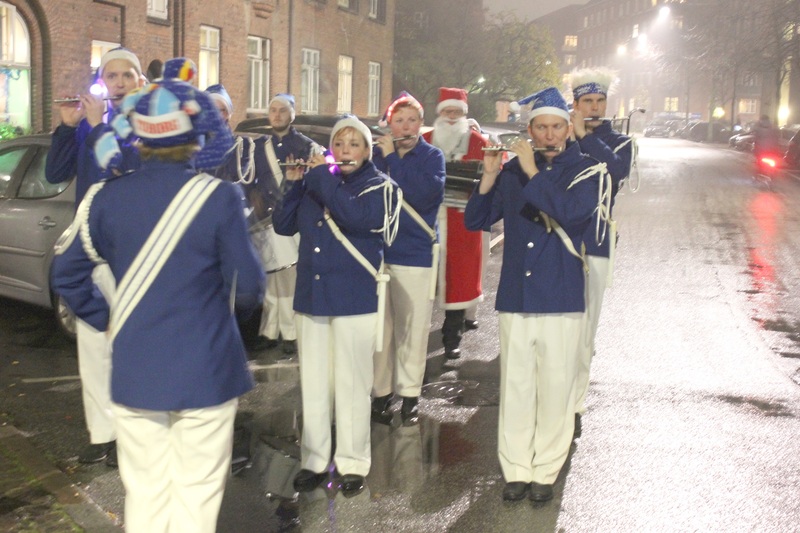 Everyone from the head of media and PR to the man who drives the famous horse and cart around had a seasonal glint in their eye and a brew in hand to celebrate the start of Christmas in Denmark. 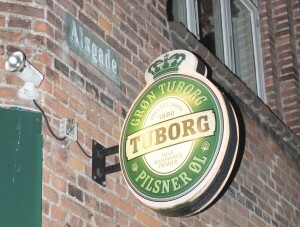 I know the Danes like ice in their cider, but hiring snow cannons for their Julebryg is extreme! The atmosphere at the brewery was pure joy – the staff performed a dubious take on British pantomime and had the whole press pack singing a Julebryg anthem, which was apparently hilarious – but only if you understood Danish. Even the security guards were having fun – it’s not often bouncers get to work in a winter wonderland with absolutely no screaming children and frazzled parents though. At this point, J-Dag seemed like the fairytale Hans Christian Andersen forgot to write, and I hadn’t even been to a bar yet. 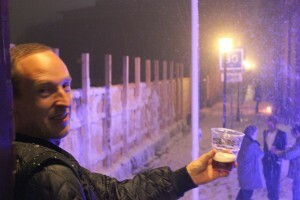 It was a completely surreal experience to be listening to music and drinking beer like it was summer, but be surrounded by fake snow and laughing adults dressed as blue elves. And so to the city. 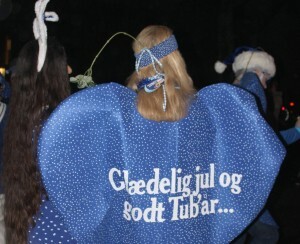 The blue elfin brigade, led by a nisserpige – who must have had icicles for legs by the end of the night – handed out Tuborg’s Julebryg as a marching band accompanied the massed crowds outside. 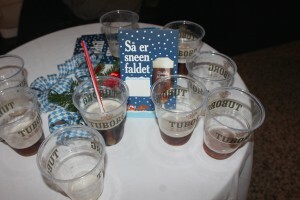 Any disappointment I felt at not knowing the lyrics to the Danish beer-centric reworking of ‘Jingle Bells’ died the moment I handed my empty glass to the barman. The whole bar roared Irish drinking songs, including ones I only half-remembered from Friday nights in London bars, before concluding their raucous chorus with something that might have been ‘Fairytale of New York’. These bizarre, hilarious and enthralling moments were everywhere on J-Dag. A taxi to the town centre and the whole night changed. Enormous crowds filled the squares, the bars along Strøget spilled out into the open air, and the usually dark sidestreets were full of revellers. 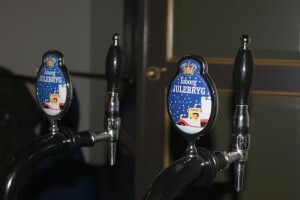 Speaking to Danish journalists on the press tour with me, I discovered that Julebryg was originally released on a Wednesday afternoon – seeing the night unfold around me, it wasn’t hard to see why they changed the date. I’d be lying if I said that most people were sober past about ten. 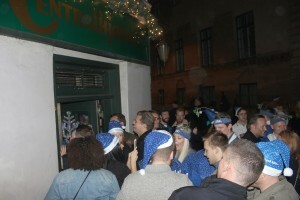 However, the only arguments and violence I saw featured a group fighting over who got to wear a Tuborg-branded blue headband with strategically-dangling mistletoe berries. Unfortunately for them, the nisserpiger in heart costumes had decided to call it a night before then. Did the J-Dag horror stories people had told me about all come true? No. But then again, most people don’t get to talk to the brewery staff beforehand, or tour Copenhagen seeing the humour and passion that goes into organising each tour. It’s definitely something I’ll miss when I’m in another country next year – and not just because of the beer trucks driving around the city. 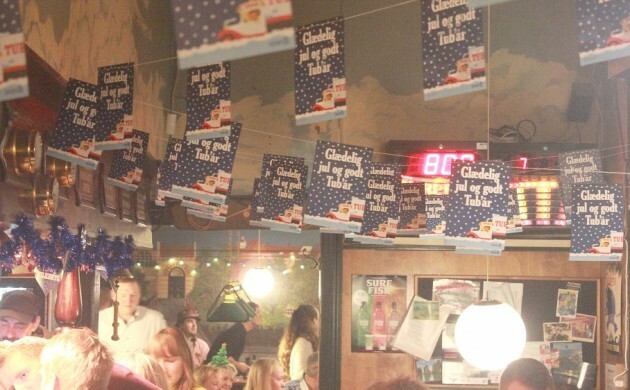 An original event that brings people together to start the festive season is all too rare. 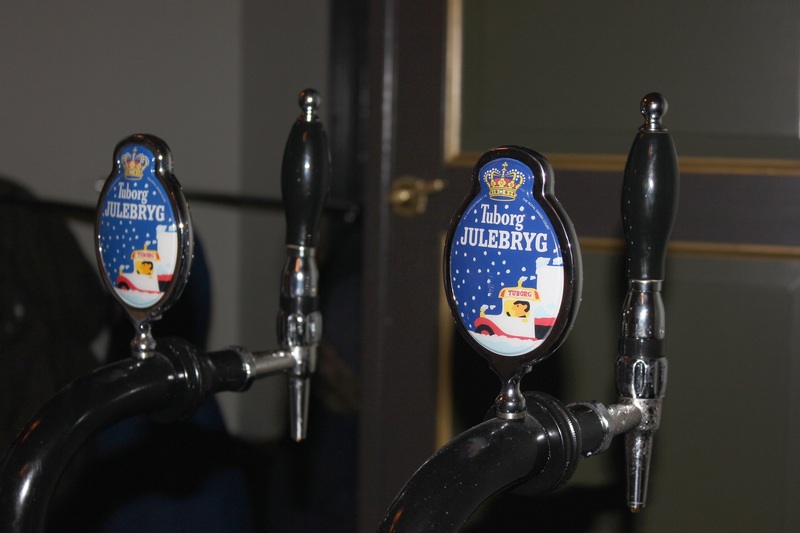 My thanks go to Kasper and the staff at Carlsberg for the invitation, and good luck to whichever Weekly Post intern gets this job next year.